A protester in Whitehall surrounded by policemen. 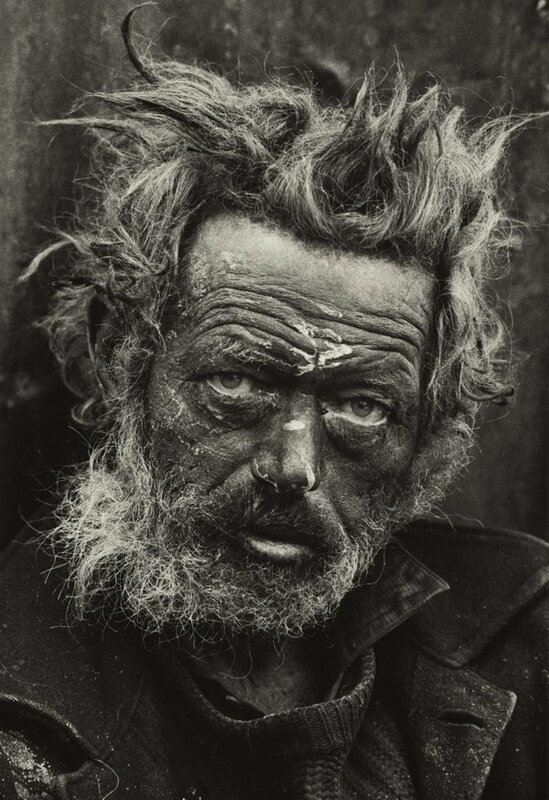 Copyright Don McCullin. Armed soldiers charge forward, riot shields held aloft. A commanding officer thanks a dead soldier for his bravery. Bodies lie on the floor surrounded by blood, family members weeping over them. All three of these scenes are powerful, captured in Northern Ireland, Nigeria and Cyprus respectively. What links them is they were all taken by legendary photographer Don McCullin. He has assembled over 250 of his images into this fantastically raw retrospective exhibition at Tate Britain. One of his earliest photographs in Finsbury Park of his old school friends. Copyright Don McCullin. Even his earliest works from London show he had an excellent eye for composition. 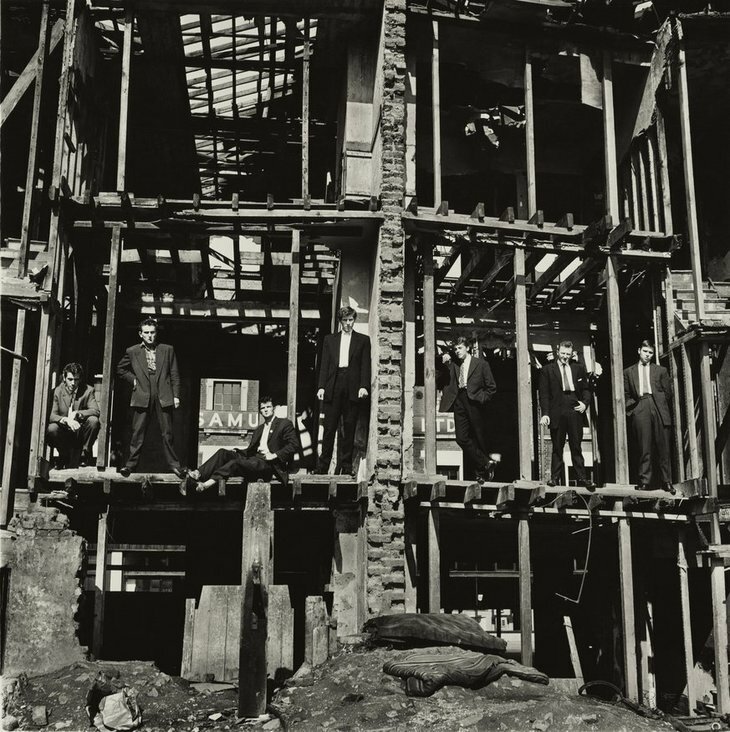 A shot of his school friends posing in a bombed-out building could easily have been a gritty album cover. With some standing and others seated, the asymmetry gives us a hint of the group dynamic and their personalities. Young boys box on Caledonian Road and sheep are driven to slaughter in the early morning with only street lights to guide them. The shepherd is out of focus, leaving us in little doubt that McCullin wanted viewers' attention drawn to the sheep and their fate. A grenade thrower in Vietnam. 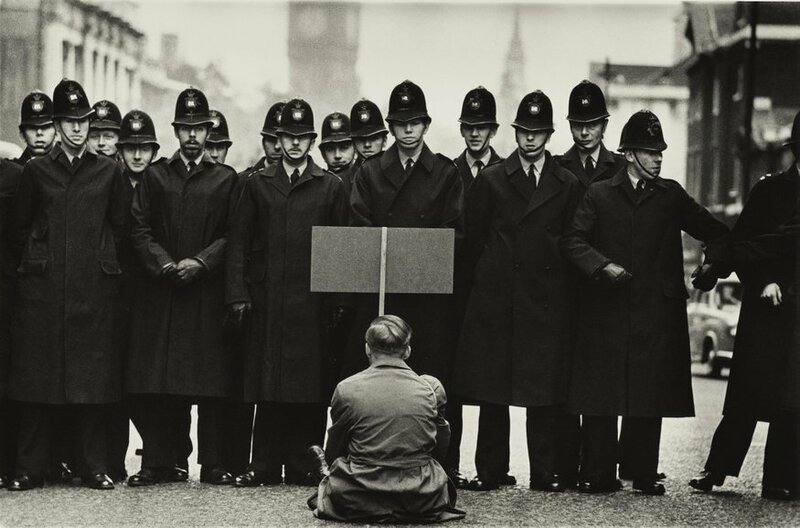 Copyright Don McCullin. 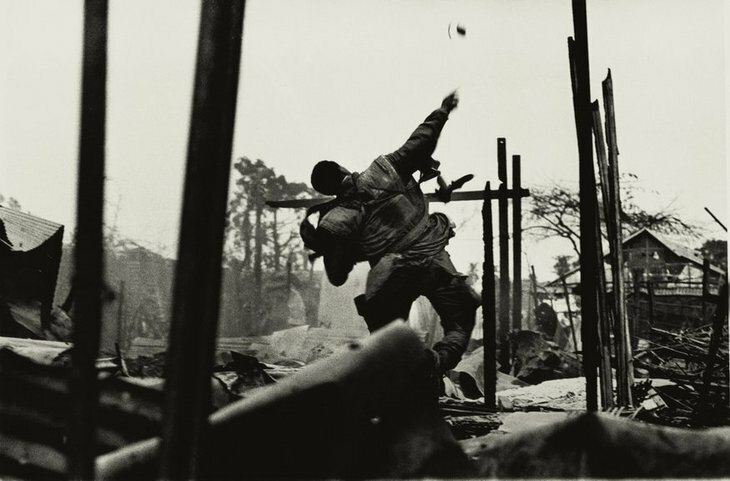 After his early photos of his local area, the majority of McCullin's career involved photographing conflict and war zones, and it's these photos that make up the majority of this show. It's visceral and very hard going but it's important that we're confronted with the horrors that happen in the world. 'Shell Shocked' — arguably McCullin's most famous work — is here and it hasn't lost any of its power. A marine stares out into the distance clutching his rifle. His body may be here, but his mind is elsewhere, perhaps reliving what he's seen or done. The moment a soldier lobs a grenade is captured as a blur, while a prone soldier aims down a street in Northern Ireland, as a local nonchalantly strides by with a parcel tucked under his arm. A homeless Irishman in Spitalfields. Copyright Don McCullin. No heroics are possible when you are photographing people who are starving. All I could do was try and give the people caught up in this terrible disaster as much dignity as possible. There is a problem inside yourself, a sense of your own powerlessness, but it doesn't do to let it take hold, when your job is to stir the conscience of others who can help. McCullin is now taking photos near his home in Somerset and we can't blame him after all the horrors he's seen. 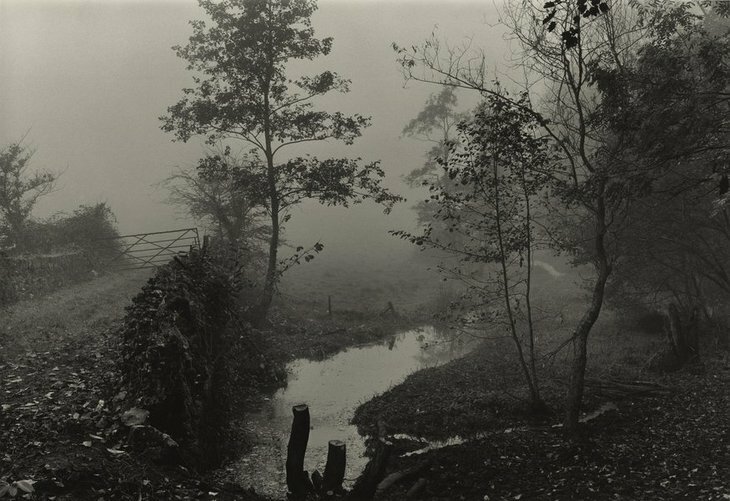 Even these misty landscapes are oozing with atmosphere, though understandably the dynamism and tension of his earlier works is missing. The woods near his house in Somerset. Copyright Don McCullin. This is a remarkably intense exhibition that is hard to take in on one visit. We've seen many McCullin photographs in the past but seeing all of these together really highlights his ability to use his camera to consistently capture the humanity in such horrible situations. It's an exhibition that's so strong that it deserves many superlatives to describe it, but they just don't seem appropriate given the content of this undeniably powerful and emotional show.